NY Daily News- He was spinning a yarn. The man who papered his Brooklyn neighborhood with pictures of his missing pet Penelope — an eight-legged tarantula with a red bum and a bellyful of babies — caught everyone in his web of lies. 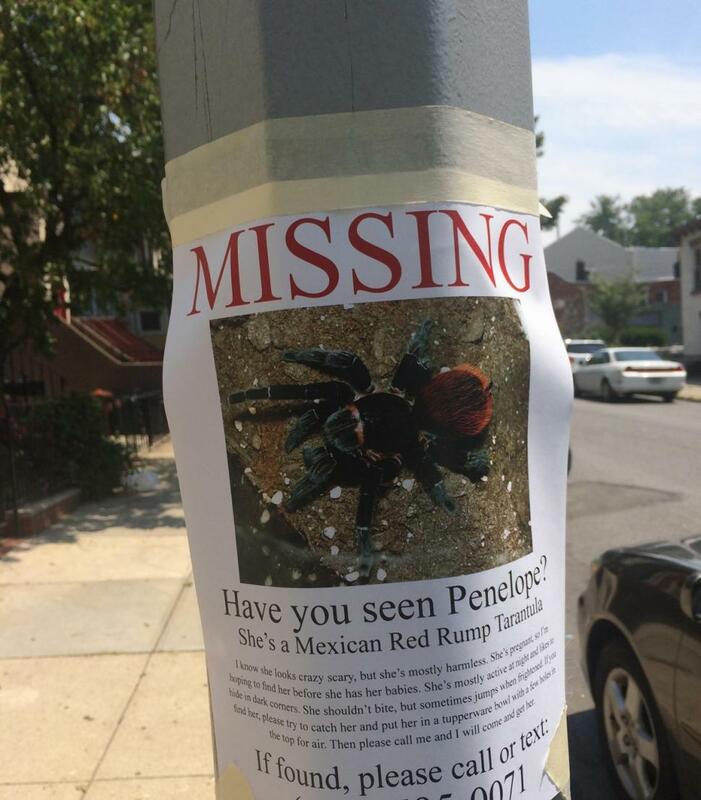 The mystery of Penelope — if she was real or a fiendish figment of someone’s imagination — gripped most of Park Slope for two days. But by Friday night, the prankster behind the hoax — who didn’t return numerous calls to the number on his posters — finally confessed. “I never expected it to blow up,” he told The New York Times, which reached him by phone. The man, who declined to give his name, said he’d decided to create the most absurd missing pet poster he could think of as sort of a lark. His description of Penelope was so over the top, he never expected anyone to think it was real, he told The Times. But the public fell right into the trap he set with his carefully designed posters featuring Penelope and her eight legs.